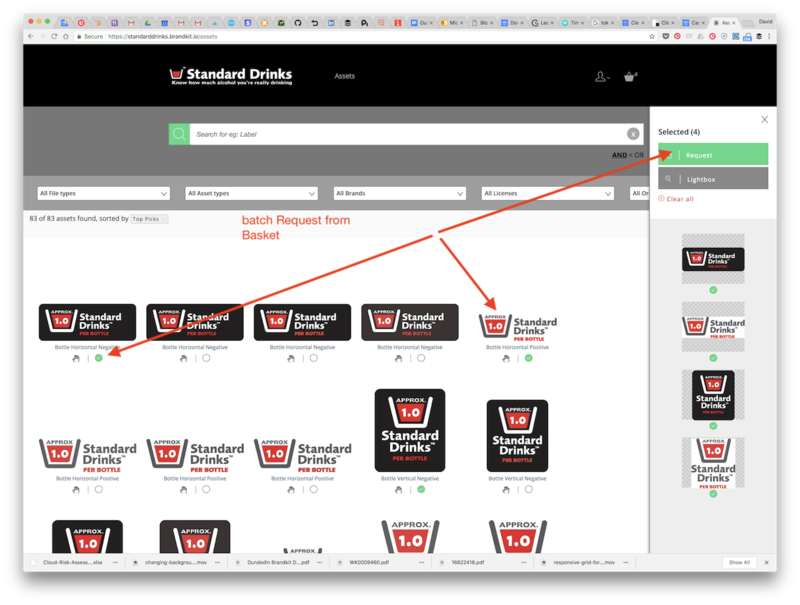 If you're seeing a Request icon/button (rather than a Download icon/button), then the Administrators of the Brandkit account (as Standard Drinks™ have done in the example below), require that you make an Asset Request (rather than instantly Download). 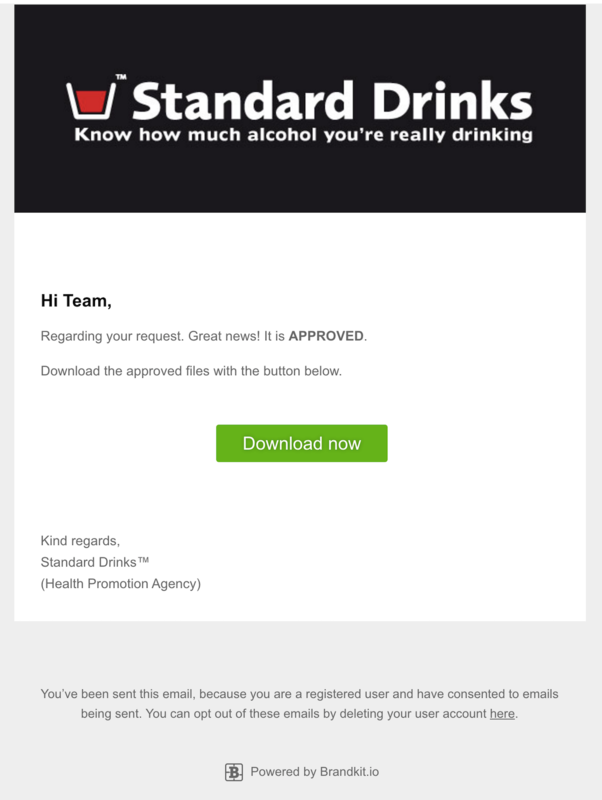 Once your Asset Request is Approved you'l be sent an email with a download link. Step 1: Find the Asset or Assets you want to Request. Step 2: Click the Request icon (Raised Hand) below a single Asset in search results. The Request icon looks like a Raised Hand. Step 2 cont... Or Select multiple Assets and click the Request button in the Basket. You can also select several Assets and request them all at once from the Basket. When you make a Request you will need to complete the Request Form as seen below. You will need to answer 2-3 intended use questions typically (each account can customise these questions), that enable the Admins of the account to make a determination* to Approve or Decline your request. * Sometimes Admins may reach out to you for clarification by email or phone - so it's helpful to ensure your User Profile is up to date. This Request Form example shows two intended use questions. Once you complete the form and submit the request, Account Admins will be notified to review your request. Step 5: Download your approved files. You'll receive an email with a link to Download the Requested Files. 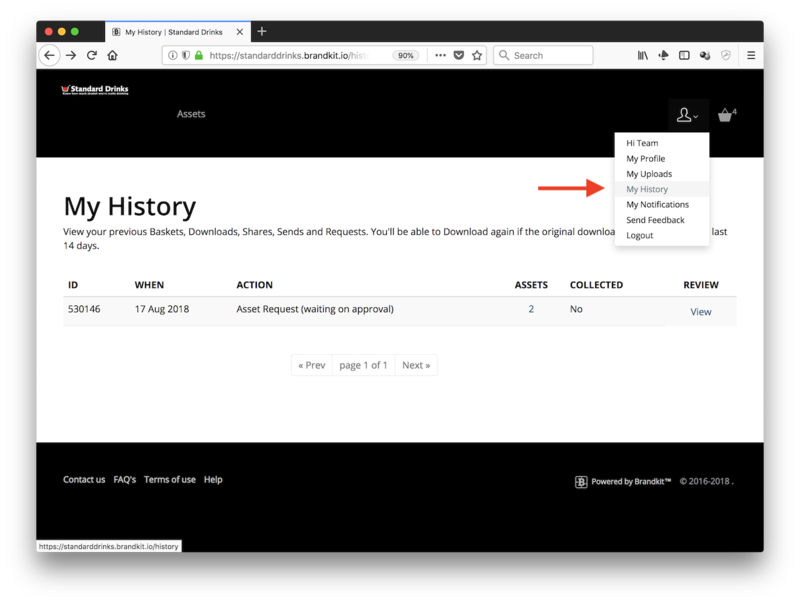 Note: Sometimes (if you requested a batch of files) Admins will remove Assets from your request and then Approve the rest. 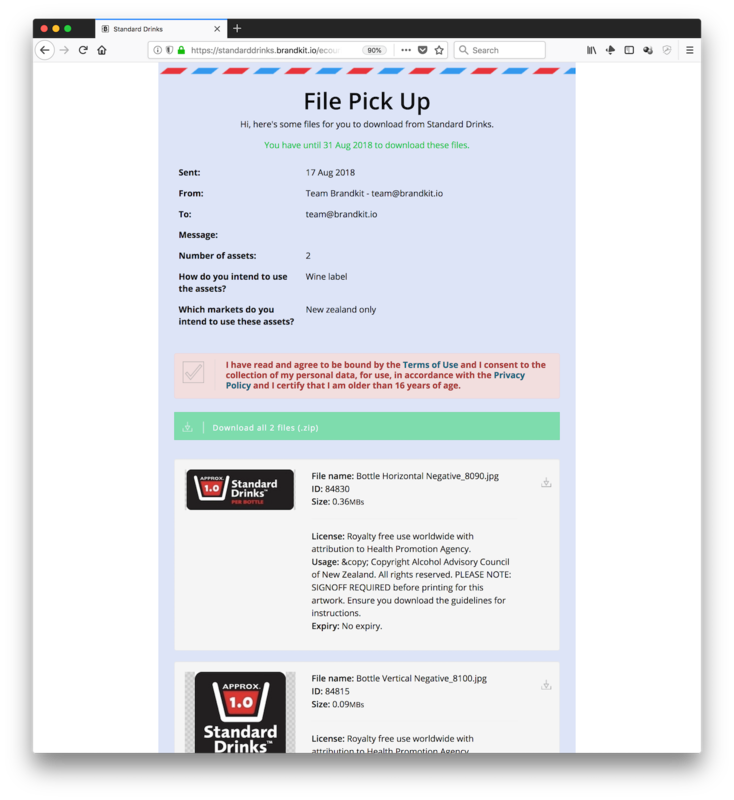 File Pick Up page where you download the Approved files. You'll receive an email advising you that the request is declined, usually with a comments or notes about why or what you can do next. Requests might feel a bit draconian, but it helps Brand's who are concerned about incorrect use or over use of their assets, to protect their valuable intellectual property. 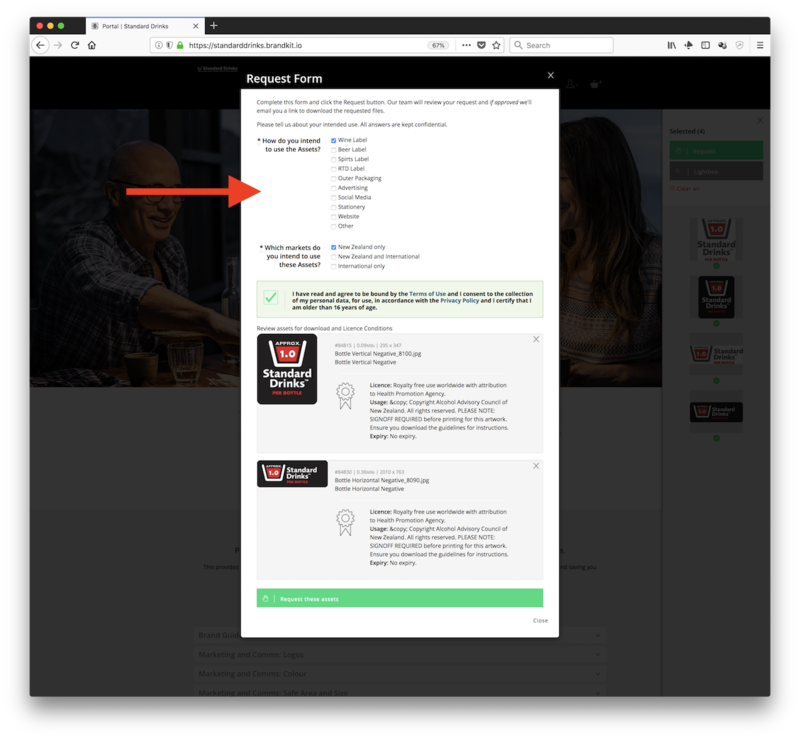 It will take you 1-2 minutes to make the Request and you will have to wait for an Admin to Approve your request and response time will vary, but typically within 1-4 hours. accessible from the User icon in the main Nav bar. Lets face it - you're getting this content for free - the price is just your registration and the request. We think that's a bargain!